I just recopied off a page for my volunteer application…for the third time. Getting a bit annoyed, I am thinking–“Why can’t I just hold the pen and write legibly?” Even writing slow, my handwriting struggles. I could try to blame the lines; I am not one to buy a college ruled notebook. I prefer sticky-notes, letting my handwriting fill the whole square. I could try to blame the pen. But it is a Pilot pen…it writes so smoothly. I could try to blame my hands. Seems most probable, except that I would be blaming God for the condition of my hands. My cramping, curling, numb, weak, slow, shaky hands. I saw a turtle crossing the road today on my drive home. No joke. I was just as shocked as you are! It did not seem in any hurry to get from one side to another either. Just a stroll across the lane! I tell my mom about the turtle when I get home. “Did it make it across okay?” Her first comment after my story. I said that I figured so…there were no cars in the left lane where it was slowly crossing. I know turtles don’t have thoughts like this–but what if they did? What if they sat down and wrote a blog about how slow they walked–how annoying or inconvenient it feels. Or would they share about how special they are–they may not be fast, but they have a hard shell where they can completely disappear on moments notice of harm. It was designed just for them. I could sit here and play the blame game. But I ask myself, is it worth the effort? Or can I see uniqueness in these hands…the blessings that I can still use my hands even though they give me challenges continually during the day? 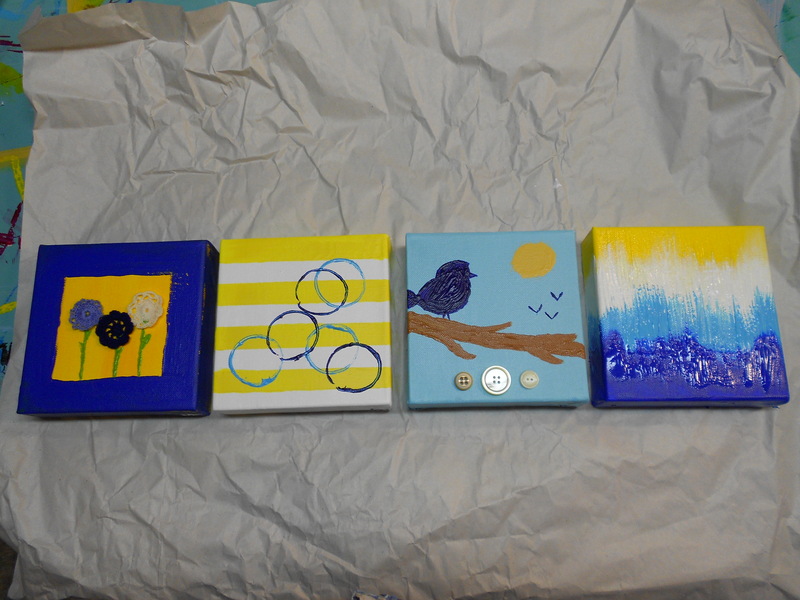 It might take some hard thinking…but one blessing comes to mind: I can still paint. God designed that just for me…and I love sharing the blessings with you. I really hope that every thing gets ok again and soon. May a miracale happen for u. As u said god has designed this situation only for YOU. Remember although WE are afar, but my heart and prayers are with u, i do pray for you and wish that one day i visit this blog and see that u have overcome the deases. U’r positive energy, your hope and faith in god always touches me, you are like a hero in my life, and thinking of you makes me more more strong during difficulties, since i have visited u’r blog. Yesterday at Solo/Ensemble (remember those days?) I witnessed an amazing young pianist. One leg did not function as it should, and both her hands were badly misshapen; I do not know why. But I was amazed at how well she played the piano, in spite of her hands. I talked with her later and told her what a good job she did, and how proud I was of her figuring out how to make her fingers work, when they were different than my fingers. Truly an inspiration. AND SO ARE YOU!!!!! Love you. I always enjoy your very insightful posts, Melinda!